CED 2kW Electric Upright Fan Heater 230V is rated 4.5 out of 5 by 12. Rated 4 out of 5 by Jockie100 from Hot and cold Does what it says on the box and inexpensive. Rated 4 out of 5 by Carmen30 from Compact heater I bought this to warm up our new bedroom whilst our radiators were being fitted - for such a small unit, it took the edge off and was fairly quiet. Rated 5 out of 5 by Mr Entertainer from Does the job. This is the second one I have purchased, for another location in the home. It has not been used yet. The first one works well. It does what it's intended for. 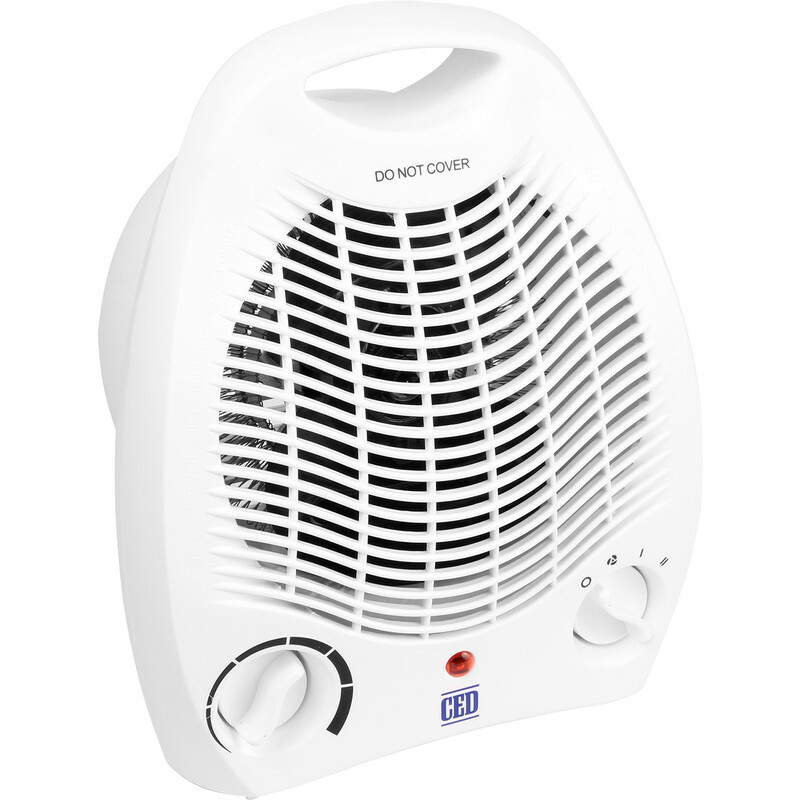 Rated 5 out of 5 by Dawn196 from A great little heater This give out as much heat as my older, much bigger electric fan heaters, but is neat and compact. Rated 4 out of 5 by Bagwash from Nice little fan Fantastic features include Thermostatic heat settings, so you don’t get to hot. It also blows cool air, for use in the summer. Nice size, not to big, and not to small either. I highly recommend it. Rated 5 out of 5 by Hottotrot from Does what it says A great heater for the price.